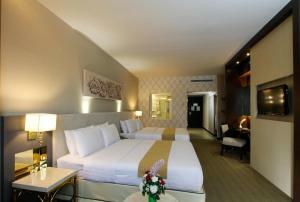 Royal Benja Hotel is on Sukhumvit Road, a 7-minute walk from Nana BTS Skytrain Station. 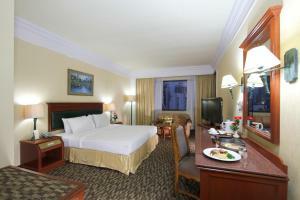 Featuring homely accommodation, it also provides a fitness centre, a large outdoor pool and 24-hour room service. Free WiFi is available in all rooms. Spacious and air-conditioned, rooms are fitted with a flat-screen satellite TV, a minibar and an electric kettle. 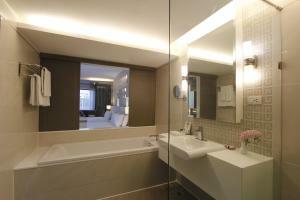 Each room comes with ample sitting space and a private bathroom featuring separate shower and bathtub. Free bottled water is provided. For recreation, Royal Benja Hotel offers a sauna room and billiard tables. There is also a well-equipped fitness centre where guests can enjoy a workout. Benjamas Restaurant serves a wide selection of local and international cuisine. It is a 10-minute walk from Bumrungrad Hospital and a 15-minute drive from Samitivej Hospital. 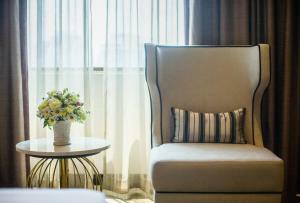 Royal Benja is a 30-minute drive from Suvarnabhumi International Airport. 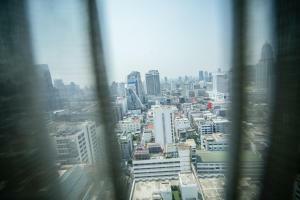 The hotel is also about 2 km from Central World Plaza, Emporium Shopping Mall and various shopping outlets in Siam. 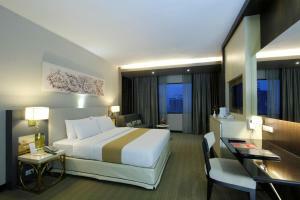 Air-conditioned room features a flat-screen satellite TV, a minibar and an electric kettle. A safety deposit box and a desk are provided. A bathtub is included in an en suite bathroom. Free bottled water is provided. 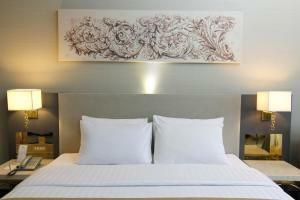 Rate: THB 2700.00 ... THB 4200.00; select dates below to get current rates. 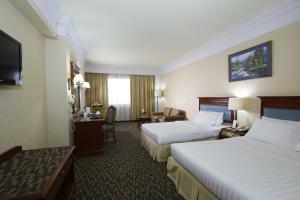 This twin/double room features air conditioning, view and satellite TV.